Home Cover Story 1 year: How did GST fare for logistics industry? There is mixed reaction on the first anniversary of the historic and one of the biggest tax reforms — the Goods and Services Tax (GST). 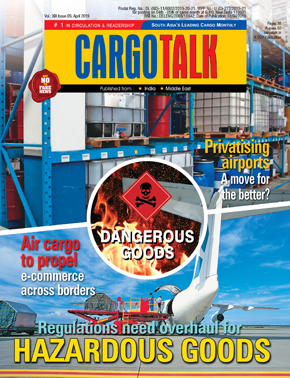 CargoTalk charts out the impact of the tax regime on logistics verticals, like freight forwarders, air cargo, express, etc. Experts map out the changes that GST has carved out for the cargo sector. It has already been a year since the government passed the most imminent, Goods and Service Tax (GST) regime on July 1, 2017. Certainly, the tax has given many reasons to debate on what has been necessitated and what more is in store for the logistics sector. Since its implementation, the logistics industry has enjoyed the leeway than most industries. Now, with the first anniversary of one of the most crucial reforms of the country, it is pertinent to check has the aim of ‘One Nation, One Tax’ been realised? looks at the journey of the tax regime in the logistics industry. “Major challenges have been resolved. 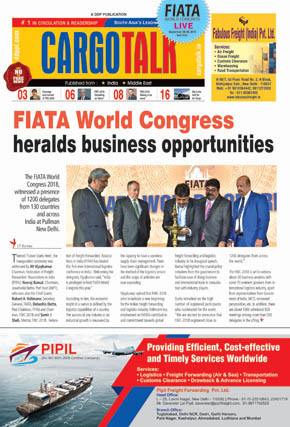 The industry now has a much deeper understanding about compliance requirements and how to adhere to them,” feels Huned Gandhi, Managing Director – Air & Sea Logistics India & Bangladesh, Dachser India. 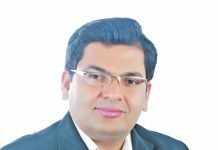 Vikram Mansukhani, Head – 3PL Division, TVS Logistics Services – India, points, “Securing a competitive edge in the post-GST scenario mandates a high level of transparency, discipline to timelines, adherence to compliances and investment in technology platforms. Businesses that have been using unorganised transporters and just warehouse service providers are migrating to formal 3PLs who can bring in knowledge services, understand and use technology and operate logistics and supply chain more efficiently. A wide network footprint, proximity to consumption and manufacturing locations, and network redesign capabilities are becoming key deciding factors during empanelling. This has tilted the scales in favour of large organised players like TVS Logistics. “We expected the export will be zero-rated, which has not happened and exemption until September 2018 was introduced instead in January 2018, and further extended until September 2019. Our industry made several presentations, that there should be ‘zero tax’ on exports, as current system is blocking funds. 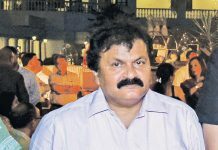 We are waiting for refunds and are under tremendous financial constraints,” tells Thakkar. 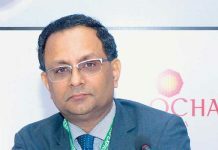 “Third, although a bit premature to comment, another positive fallout of the GST implementation would be consolidation in the warehousing sector, as companies would prefer building hub-and-spoke warehousing models with big regional setups over today’s setup of warehouses in each and every state. 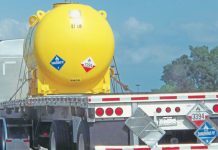 This will result in reduction of storage and handling costs, leading to lower overall inventory costs. Lastly, with the creation of multi-modal logistics parks, demand for higher tonnage vehicles is expected to witness an increase due to their ability to carry more cargo. This means the demands of a particular industry or cluster can be met by a smaller number of vehicles and in lesser time, thereby improving the supply chain and forward linkages to markets,” he continues. From the air cargo industry perspective, Singh says, “Air cargo stakeholders have been waiting for a single-tax system for years. The implementation of GST led to the abolition of octroi and streamlined the multiple taxation system. Due to which the air cargo dwell time and volumes at CSIA improved significantly. GST also addressed the various procedural hurdles that prevailed in the past and introduced transparency in taxation. Rationalisation of warehouses – User industry expected to redesign network footprint to optimise logistics costs. Post GST, logistics services providers were expected to offer integrated warehousing solutions at suitable locations. Enhanced transport capacity and efficiency – Upon consolidating warehouses, each warehouse of a logistics company was expected to have a larger geography to cover. Hence, this would require more efficient logistics with better investment in the same to ensure timely deliveries and better connectivity. 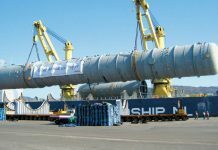 Performing logistics activities on behalf of companies – Logistics companies would consider working along with their customers to review outsourcing processes and activities taking into consideration logistics and overhead cost savings. This could include opportunity to replace C&F operations for certain industries. e-Way Bills – Requirement of e-Way Bill for movement of all goods, along with their limited validity would result in technology adoption to ensure e-Way Bills are valid, traceable and regularly updated when expired. This would result in increase in organised market share. 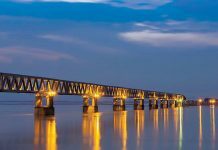 Superior technology – Implementation of GST was expected to make logistics industry more competitive as freight transit times were expected to reduce by 30-40 per cent and freight costs by 20-30 per cent. Logistics companies were expected to invest in efficient technology to handle their increase in traffic, along with new processes such as managing of e-Way Bills and catering to larger geographies. Skills training and upgradation – The drastically changing dynamics of logistics companies such as the reinventing of the supply chain, repositioning of warehouses and embracing of technology was expected to result in more focused and intensive training. “A host of measures has been taken to help the industry overcome the problems faced initially. As a consequence, the new tax system has settled in to a very large extent. However, the functioning of the GST portal has to be looked into and administration must be kept to a minimum to make processes more efficient,” tells Huned. 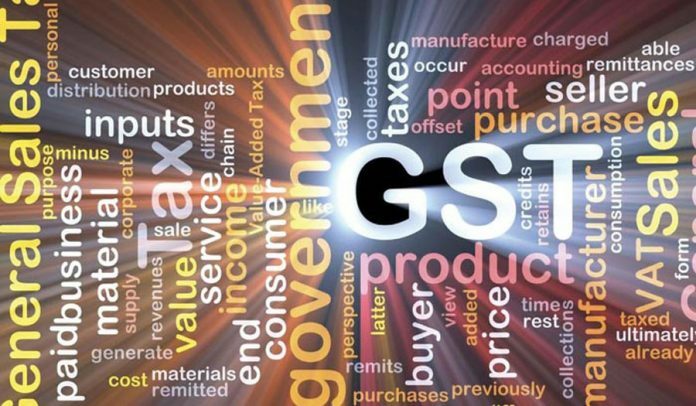 According to Thakkar, Section13 (3) is, “With uniformity in nature, GST is in process mitigating this imbalance and will boost airfreight once there is no tax on exports. 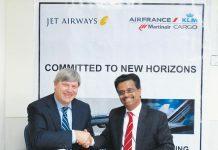 It will help promoting airfreight consolidations and transhipments, reducing supply chain costs and strengthen the government’s vision to position India as the logistics hub of the world.” As per Thakkar, Section 13 (3) should be amended as regard to the export cargo (whether we bill the exporter or the overseas associate) to the place of supply as the destination, the government should amend Sec 13(9) to include all the allied services associated with the export cargo. “We treat the place of supply as India (taxable territory) and tax the transportation up to CFS, CFS charges, THC, BL fee, AWB fee, etc, because of the present wordings only,” he says. “And, these wordings are: (3) The place of supply of the following services shall be the location where the services are actually performed, namely; services supplied in respect of goods which are required to be made physically available by the recipient of services to the supplier of services, or to a person acting on behalf of the supplier of services in order to provide the services. When such services are provided from a remote location by way of electronic means, the place of supply shall be the location where goods are situated at the time of supply of services. The same should be amended as; services supplied in respect of goods which are required to be made physically available by the recipient of services to the supplier of services, or to a person acting on behalf of the supplier of services to provide the services. Provided that when such services are provided from a remote location by way of electronic means, the place of supply shall be the location where goods are situated at the time of supply of services, provided that such services are not related to the export of goods. For such services, the place of supply shall be the destination of the goods. Similarly, Sec 12(8) should be amended suitably to include the transportation and the allied services related to the export cargo. It should be: (8) The place of supply of services by way of transportation of goods to a place within India, including by mail or courier to, (a) a registered person, shall be the location of such person; (b) a person other than a registered person, shall be the location at which such goods are handed over for their transportation. The place of supply of services by way of transportation of goods to a place outside India, other than by mail or courier to, (a) a registered person, shall be the destination of such goods; (b) a person other than a registered person, destination of such goods,” explains Thakkar. “The reaction of the industry is at different levels of the spectrum ranging from early adopters to fence sitters. 3PL and 4PL solution providers have benefited from increase in organised penetration. The delays at state boundaries have significantly declined. However, consolidation of warehouses is being conducted at a rate slower than expected,” emphasises Mehrotra.